I notice this word unconditional being used a lot in Christian circles. People talk about God’s unconditional love, or they refer to some of God’s covenants as being unconditional covenants. This term unconditional is sometimes used as a source of comfort regarding our relationship with God. But…is unconditional really a good word to describe our relationship with God? Or with each other? 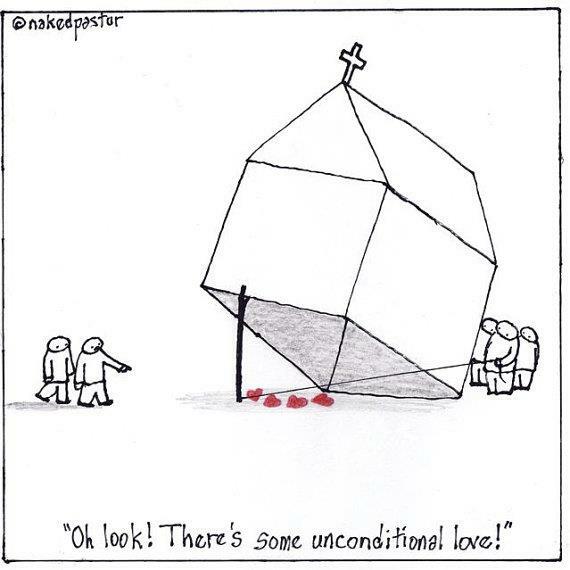 First let’s clarify that unconditional is not a biblical term. Nowhere is the term unconditional found in the Bible. I have queried multiple English translations (King James Version, New King James Version, Authorized King James Version, New American Standard Bible, Holmann Christian Standard Bible, Living Bible, and others) and have failed to find even one occurrence of the word unconditional in any of these English translations of scripture. Feel free to query yourself using BibleGateway, or any other tool. The word unconditional is not in the Bible. Rather, it is a word used by some scholars to describe their understanding of the biblical message. But is unconditional really a good choice of words? Does this word adequately describe our relationship with God? “God so loved the world…” that’s pretty broad. The word world implies a comprehensive global application. Based on this clause, we can conclude that there is no human whom God has not loved enough for Christ to have died for their sins. So, while God’s love may extend to all, relationship with God is not unconditional…nor is salvation through Christ unconditional. So, we see that the word believe, as used in scripture, is inextricably linked to the word obey. This same theme, this linking of believe and obey, is repeated throughout scripture. We could get into all sorts of deep theological debates about what, exactly, that means and how that connection is made. We could discuss Ephesians 2:8-9 along with James 2:14-26. We could discuss multiple facets and perceptions of both the all-sufficiency of grace and the necessity of obedience. Yet, at the end of all those discussions and potential disagreements, we would still be left with the inevitable truth that somehow, someway, the scriptural use of the word believe is consistently inextricably linked with the word obey. From a scriptural perspective, in our relationship with God, we cannot have one without the other. So, we see that relationship with God is conditional on our believing and obeying Him. Without trust and obedience, we cannot have relationship with God. So…is unconditional really a good word to use in describing our relationship with God? Does it accurately describe the relationship? Isn’t it a little misleading? Now, some of you may be thinking, “but what about God’s unconditional covenants?” In studying biblical covenants, many scholars refer to conditional (bilateral) covenants and unconditional (unilateral) covenants. Again, I must point out that these are extrabiblical terms applied by some scholars. Nowhere in scripture do we find these terms unconditional or unilateral used. 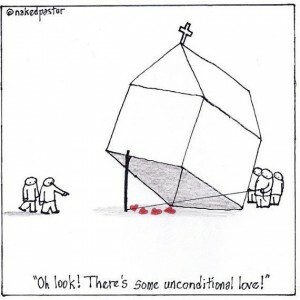 Personally, I see no basis for the concept of an unconditional covenant. Rather, I see covenants (or a covenant…the New Covenant) between God and man for which man’s covenant terms and conditions are fulfilled by Jesus Christ, on our behalf, so that we might have relationship with God through faith in Christ. I gave one illustration of this in my last post, using the example of the covenant between God and Abraham described in Genesis 15…which happens to be a primary example used by some as an illustration of an unconditional covenant. Not everyone sees this the same as me, and not everyone would agree with my interpretation. Some would say that since Abraham did not participate in the covenant ceremony described in Genesis 15 that there are no covenant terms or conditions applied to Abraham. Abraham believed God and it was reckoned to him as righteousness. There’s that word believe, again. And we can clearly see that Abraham’s believing preceded the covenant. So the covenant was not unconditional, but rather was predicated on Abraham’s believing. And James 2:20-24 makes it clear that Abraham’s faith was also directly linked with his obedience. Furthermore, the covenant promises were not made to Abraham only, but to Abraham and his descendants. So, if the covenant were unconditional (unilateral) then it would apply to all of Abraham’s descendants unconditionally and unilaterally. But that is not the case. So, we see that it is those who believe who are heirs of the covenants and promises that God made with Abraham. Being a physical descendant of Abraham does not guarantee becoming a recipient of the covenant promises, nor does lack of physical descendency from Abraham necessarily exclude one from becoming a recipient of the covenant promises. Inheritance of the covenant promises relies not on physical bloodline, but rather on our believing…on our trusting and obeying. Both our relationship with God and our becoming heirs of God’s covenant promises is conditional upon our believing. I find no biblical basis for the concept of unconditional relationship nor unconditional covenant. All relationships, whether between God and man or between humans, are conditional upon both parties abiding by the relational expectations and boundaries. We cannot have healthy relationships without mutual respect and healthy boundaries. Such a thing is impossible with God…and it is impossible with humans. This entry was posted in Faith, God's Position toward Us, Marriage-n-Divorce and tagged believe, conditional, conditions, covenant, covenant terms, obey, terms, trust, unconditional, unconditional covenant, unconditional love, unconditional relationship by joe. Bookmark the permalink.